I am particularly interested with this rendering because it is in line with what other passages in the OT that state that the Levite musicians were sacred music teachers. In ancient Israel the Levite musicians did not leave sacred musicing to random chance. 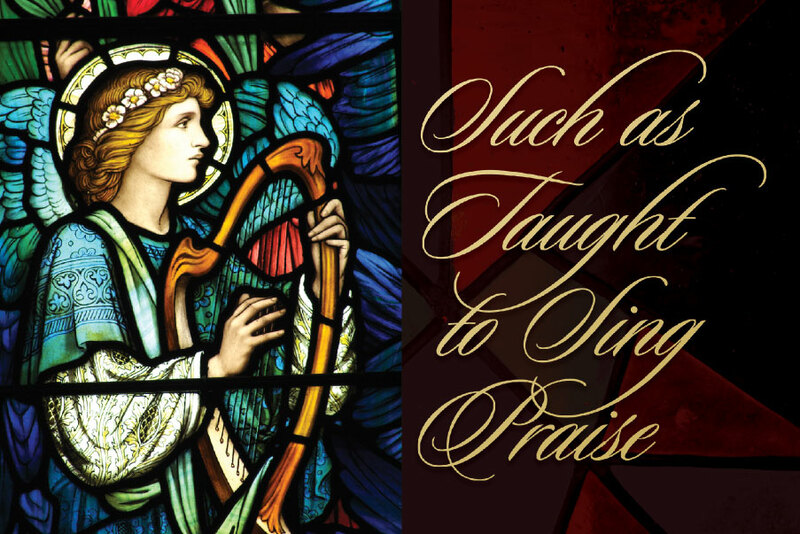 They were proactive by teaching the people (and particularly the young Levite musicians) how to music unto the LORD. The Chief Levite musicians recognized that if music in public worship was going to be accomplished properly instruction was necessary. They were expert in doing what many church fellowships have failed to do. I Chronicles 25:7 states very clearly, “So the number of them, with their brethren that were instructed in the songs of the LORD, even all that were cunning, was two hundred fourscore and eight.” These astute Levite musicians were aware that although performing the songs of the LORD was important, so was instructing the next generation of musicians how to perform the songs of the LORD. The Twenty-fifth chapter of I Chronicles is a musical discourse on ancient Levite musical training. This wonderful chapter gives us vivid insights into the philosophical musical practice of the Chief Levite musicians. Verse one states: “Moreover David and the captains of the host separated to the service of the sons of Asaph, and of Heman, and of Jeduthun, who should prophesy with harps, with psalteries, and with cymbals…” Notice that the King and his captains decreed that the sons of the three Chief Levite musicians should be separated (badal 914—“to divide or select”) to serve Jehovah through music making. They were separated to prophesy or deliver God’s message to the congregation through music performance. Now, let us look specifically at what the Chief Levite musician considered important in preparing their sons and brethren for music ministry. They were separated to serve. Each was a workman who ministered according to his talent and ability to serve. Furthermore, they were all under the leadership or hands of their father. They had a mentor, someone who was carrying out the order of the King who was a spiritual leader. They were separated (consecrated) to prophesy. This Hebrew word naba (5012), translated “prophesy” in the KJV, means to speak or sing by inspiration. It is the same word used of the Major Prophets of the Bible (see Jeremiah 25:30 and Ezekiel 21:24). These men were prophesying i.e. they were carrying the message of the King. They were not entertaining, they were prophesying. They were mentored to prophesy. However, that was not enough. They were successful because the sons actually prophesied. They sang and played under the inspiration of Jehovah. How did the Chief Musicians train these musicians correctly? Verse 5 says that the Chief Musician, Heman, was the King’s seer (chozeh 2374). Heman taught his sons his vision of the Word of God in song. Because Heman was saturated with the message of God, he taught these musicians the message of God through the medium of music. The temple musicians mentioned in I Chronicles 25 were separated to the service. They were set apart. They were called, and this calling was to serve Jehovah with music. They were not merely performers, they were ministering servants. There was a moral purpose for their music making. They were making music unto God and for God’s glory. There was a deep, moral force behind their music, for as we will see in verse seven, they were NOT performing their music, but rather GOD’S music. This was God’s music performed by God’s musicians, presented as an offering to God for God’s glory alone. It was not mere religious performance, but rather it was prophetic music making. Verse 2 of chapter 25 states that these musicians prophesied. Verse one tells us that they were separated to prophesy with lyres, harps, and cymbals. The next verse proclaims that they accomplished their mission when it asserts that these musicians actually prophesied with music. As church leaders we must continuously encourage, admonish, and instruct our church musicians to “prophesy” with music. Now in order to prophesy, the man of God had to discern the mind of God. It should be pointed out that by the term “prophesy”, I only mean our music should be God’s message to the people. I do not mean that our music ministry should be divinely inspired or that church musicians in this dispensation receive divinely inspired messages from God. Note that these musicians were not only seers but also tellers. These musicians were trained by the fathers of the Levite musicians to seek and find the will and word of Jehovah and tell it to the people through the medium of music. When we look at music ministry from this perspective, we understand that in ancient Israel CHURCH MUSIC MATTERED. It is my belief that in the 21st century, CHURCH MUSIC MATTERS. The reason it matters is that church musicians are still commanded to find the will and mind of the Holy Spirit and then deliver (tell) this message to the church through the medium of music. Unless our church music presents the Word of Christ (Logos 3056 Christos 5547), their musicing really does not matter very much. Church music is hollow unless it is a vehicle upon which the Word of Christ rides into the hearts of men and women. Garen Wolf is the Chair Emeritus of the Division of Music of God’s Bible School and College where he served as Chair from 1976-2010. He has written three books and maintains a daily blog at musicgarenwolf.blogspot.com. He resides with his wife Sheila in Cincinnati, Ohio.